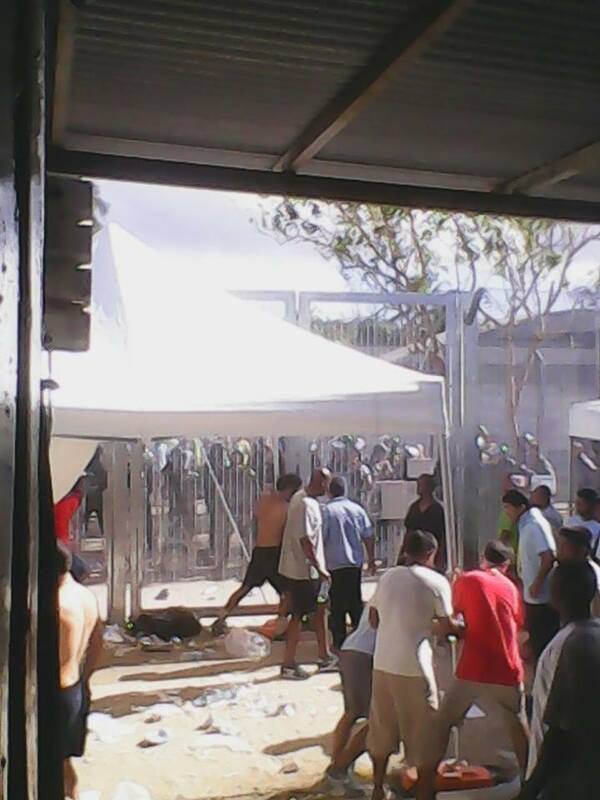 Security guards including PNG locals began attacking peaceful protests in Oscar and Delta Compounds on Manus Island around 4pm Manus Island time – see photos. But the action of Transfield’s Emergency Response Team (ERT) has put the lie to the Minister’s statement. There was no discussion and no warning before the security guards began attacking and beating protesters. “It is this kind of attack that the asylum seekers have feared all along,” said Ian Rintoul, spokesperson from the Refugee Action Coalition. “This is exactly the way that the attacks on asylum seekers began in February last year. It was the ERT that was responsible for vicious attacks on peaceful protests asylum seekers on 16 February 2013, the day before Reza Barati was killed. Yesterday’s attempts to force asylum seekers in Oscar, Delta and Foxtrot compounds out of the shelters and back into their rooms, failed. 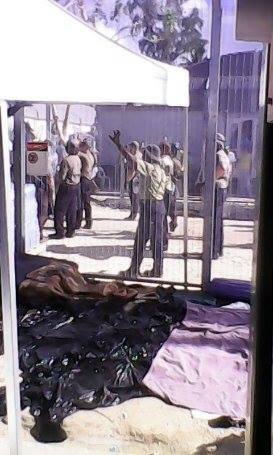 “It was the threat of using force to move refugees out of the detention centres and into insecure housing at Lorengau that precipitated the peaceful protests and hunger strike”, said Rintoul.